Smith was born on the 20th of April of 1882 in Hatchechubbie, Alabama. From early in his life, he decided that he's interested in joining the military. However, he earned a Bachelor of Law degree from the University of Alabama and practiced law for a year in 1903. Later on, he pursued a commission in the Army, but eventually he joined the Marines and managed to get appointed as a second lieutenant. He served duties and sailed to the Philippines and later Panama. He maintained his position while joining the 1st Marine Brigades in September 1902. In World War I, he was appointed to command the 8th Marine Machine Gun Company, the 5th Marines. The 5th Marines sailed towards the heat of the action in World War I and was mostly stationed in France. Later, Smith was sent to complete a course in the Army General Staff College. He remarkably graduated in early 1918, being one of the only six Marines who finished the course at that time. He was eventually sent back to the war to serve in the army. His peers and fellow soldiers saw him as an important, crucial figure yet low-profile enough to not make it obvious. In the end of the war, Smith was awarded with several decorations, including the prestigious French Croix de Guerre and the Purple Heart Medal. Although he was already decorated and respected since the end of World War I, World War II was what primarily made him a known figure. Early in the war, he commanded the 1st Marine Brigade and took them to Guantanamo Bay for the training of amphibious warfare. 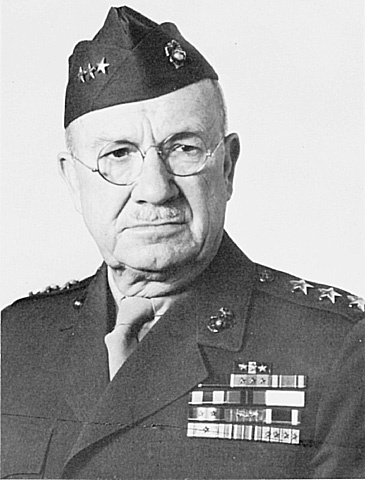 Smith later assumed command of the Marine 1st Division when the brigade was designated to it, becoming the first to ever command the division. The organization eventually evolved into the first strictly amphibious force, the Atlantic Fleet, which was what made him known as the "father of amphibious warfare". Later, he was moved to the Pacific to command a handful of Marine divisions, and he eventually commanded Task Force 56 in The Battle of Iwo Jima, which will be dissected and discussed in this website. Smith retired in 1946 as a Lieutenant General at age 64. He was eventually promoted to the rank of General because he's well-known for his prowess and his command in battle. At age 84, he finally rests in peace in the San Diego Naval Hospital, California, in 1967. Iwo Jima is one of Japan's most prominent locations to defend itself. It is one of the last islands in the "island hopping" campaign of the US troops, which means that if Iwo Jima is taken over, the US would be able to easily launch deadly attacks to mainland Japan that are more effective and efficient. This situation leaves the Japanese who are holding by and defending the island with a sense of strong devotion and responsibility to the country, because the loss of Iwo Jima potentially means losing the war. With that in mind, the Japanese foresaw the possibility of an assault and prepared defenses since mid-1944. Led by Lieutenant General Tadamichi Kuribayashi, they utilized a concentration of artillery and firepower deep in the island, instead of spreading them out to face landings frontally on the beaches. Powerful heavy machine guns, mortars, and other artillery were placed in the strongholds. 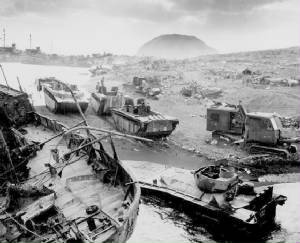 Mines were also scattered across the island, and tanks were camouflaged as hidden artillery to maximize the Japanese's defense potential. Adding to the heavy firepower showcased in the island, Kuribayashi also showed an ingenuous defense system. 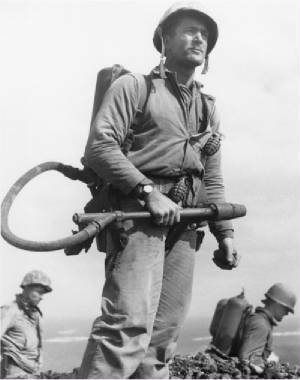 He organized linking tunnels in the island, especially inside mount Suribachi, where the battle mostly took place in. This is meant for multiple purposes; to retreat and recuperate if the US soldiers advance, to hide when there's aerial bombing, and to lure the US soldiers to a whole new dark and unknown territory that they're not familiar with. Despite the advanced planning, implementation of effective machinery, and a devious defense mechanism, Kuribayashi knew that the Japanese would not win. He believed that the US will overpower the defenses and rid Iwo Jima of any Japanese. This is why the Japanese forces of Iwo Jima was so effective in killing; they're faced in a situation in which they cannot run away from, and therefore, they will die whatever they do, which makes them hell-bent on dying bravely in courageous for honor. The Japanese is famed for their concept of honor and shame; they will die for honor and they will also die if they are shun. This mindset only served to contribute to the situation so that Kuribayashi's forces are intended to not eliminate the invaders, but to make sure that they would take out as many soldiers as they can. By doing so, Kuribayashi hopes, the US would reconsider taking over mainland Japan due to heavy casualties suffered in Iwo Jima. In the offensive of Iwo Jima, Smith was one of the most important Lieutenant Generals who led the mission. He devised a strategy to total the island and penetrate deep inside the Japanese defenses. He arranged a system of successive and heavy offenses to primarily suppress Japanese firepower and eventually envelop the island with US soldiers, imploding to central and vital defense outposts like Mt. Suribachi. After gathering intelligence and surveying the island, Smith's forces came up with a detailed landing plan to take over the island. Seeing the island's shape and narrowness, it was decided that American forces should strike and surround the island from all sides; east, west, northeast, and northwest. 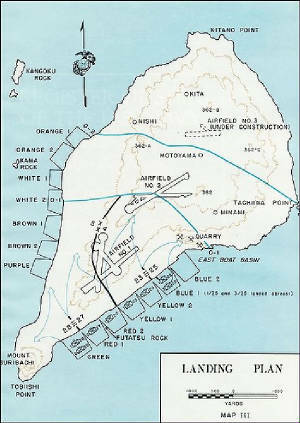 Troops were designated to breach defenses and first and foremost capture the airfields around the island. Being a marine, Smith took charge of the Marine V Amphibious Corps, better known as the VAC, that will be a force that will primarily be utilized to invade Iwo Jima, along with the other Marine Regiments. Smith really signified his dedication to the optimal effectiveness of the invasion when he planned to storm the beaches with the Air Force's bombers to raid the beach so that the landing will be safer and less taxing for the Marines. With this planned, Smith's forces are now ready to storm the island and claim it as one of the US's most vital base of operations to hit mainland Japan as hard as possible. The D-Day for the invasion of Iwo Jima, also known as Operation Detachment, was the day to see and test out how Smith's strategies would turn out. As a Lieutenant General, this operation is very important to him because it will show his worth as a leader, a high commanding officer, and the fact that the claiming of Iwo Jima will basically mean that the US will be a few steps away from ending the war in the Pacific theater. At 02:00 Iwo Jima time, the first wave of the storm commenced. Comprised of USS North Carolina, Washington, and Virginia, the beginning of the battle started with a flurry of 406mm gunfire from the battleships. This grand entry is meant to rid the coasts with bullets thus weakening the beach defenses. As planned by Smith, bombers raided the beaches shortly after the main gunship assault, demolishing the coastal barricades of firepower erected by the Japanese. As the devastation of the beach finished, Marines under Smith directly surround the island and advance inward, hoping to quickly seize and claim Iwo Jima. Around 40,000 Marine personnels landed after the naval assault waves. Their hopes will not be fulfilled, however, because as the Japanese have planned, their firearms were concentrated deep in the island. Heavy machine guns and artillery barrage the incoming Marines, causing many casualties. As if that's not enough, the Marines were faced with numerous bunkers and tunnels swarmed with Japanese soldiers inside Iwo Jima's mountains and hills, making the Japanese forces harder to suppress and since the Japanese were already familiar with the tunnels they made, they make it easier for the Japanese to cause drastically more casualties. Faced with this situation, Smith and his VAC are forced to find a plan to overcome the Japanese's ingenuity and excruciating defensive system. With heavy casualties overshadowing the Marines, Smith was forced to figure out how to get out of the horrendous situation. The devious and clever Japanese, who at that time, are desperate to take out as many Marines as possible, fought fiercely in Iwo Jima in one of the most dangerous battles in the Pacific theatre. Although they were sure to lose because of their inferior number and equipment, they made it their mission to discourage the US from attacking mainland Japan. Eventually, Smith and the VAC figured out a plan to effectively use their advanced weaponry. To root out the Japanese hiding in the caves, tunnels, and bunkers, they needed to utilize weapons with damage that could fill up space and cause a lot of collateral damage. This led to the utilization of two iconic weapons; the flamethrower and the grenade. The flamethrower was the single most horrifying weapon of war. It strikes fear in the hearts of enemies with the imagery of slow, roasting death. With flamethrowers being fired into tunnels and caves, the flames were able to reach to the remaining Japanese forces and devour them, making it an effective weapon. The grenades, although not very revolutionary, were also very useful in taking out the Japanese. Thrown into tight and small openings, the unexpected explosion and scattered fragmentation of these little bombs were able to finish off inhabitants of tunnels and bunkers quickly with relative ease. These utilizations contributed a lot to the Marines' advances in rooting out the Japanese from Iwo Jima. Without them, the Marines wouldn't have been able to take over the island without losing an enormously significant additional number of casualties. - Chen, C. Peter. "Battle of Iwo Jima." World War II . N.p., n.d. Web. 23 Apr. 2010. - "Battle of Iwo Jima." History Department of University of San Diego. University of San Diego, n.d. Web. 18 Apr. 2010. - "The Battle - Japan's Iwo Jima Strategy." Iwo Jima. N.p., n.d. Web. 5 May 2010. <http://www.iwojima.com/battle/battlea.htm>. - "General Holland M Smith Bio." Birmingham Marines. N.p., n.d. Web. 14 May 2010. 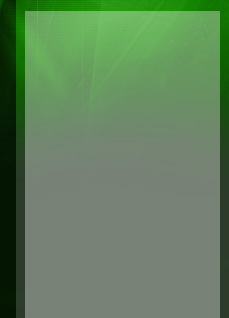 <http://birminghammarines.org/HMSmithBio.aspx>. - Alexander, Joseph H. "Closing In: Marines in the Seizure of Iwo Jima." Marines in World War II Commemorative Series. N.p., n.d. Web. 4 May 2010. - Holland Smith. N.d. Ibiblio. N.p., n.d. Web. 8 May 2010. <http://www.ibiblio.org/hyperwar/USA/USA-P-Marianas/img/USA-P-Marianas-p194.jpg>. - The Status of The Invasion Beaches. N.d. History Department of University of San Diego. N.p., n.d. Web. 15 May 2010. - Corporal Charles "Chuck" Lindberg. N.d. Soldiers Art Gallery. N.p., n.d. Web. 26 May 2010.